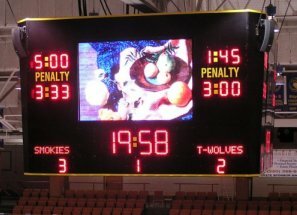 SCOREBOARDS - US, A pioneer in electronic video displays for over 13 years. 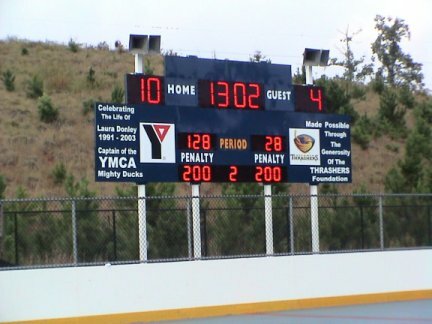 We have outdoor message display installations around the world and in Central and South America Our basketball, football, baseball, soccer, hockey, volleyball and swimming scoreboards have many standard features as well as an extended list of available options to make your hockey scoreboard as customized as you would like. 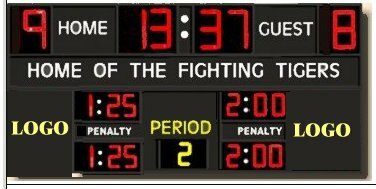 All Hockey scoreboards come with our standard RF, radio frequency wireless controller, no extra wiring to worry about. 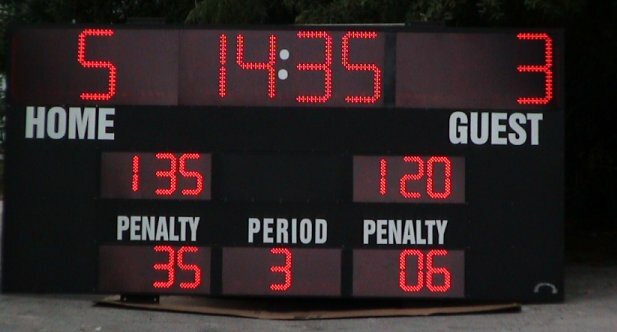 choose our battery power scoreboard, solar powered scoreboard and wireless controller. 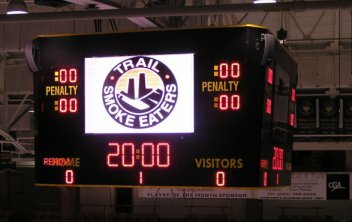 Wireless Hockey Scoreboard Controller-- We use state of the art wireless PDA controllers, Laptop computer, tablet computers, for ease of use and compactness. ...SPECS RF distance is good for 500 feet to 7 miles dependng on RF model used. Line of sight calculations. 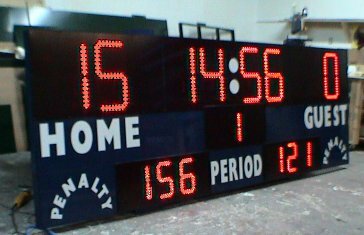 LED Digits-- FULL 18 inch HT LED 7- segment digits over 200 LED's per segment...are surface mounted, more realiable than thru hole LED's, have over 150 degree viewing area, machine sodered, displaying three rows of LED's for a wider looking digits. 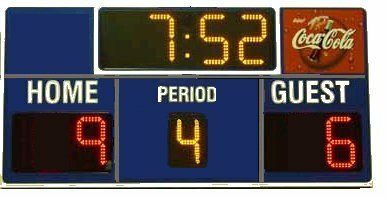 Wireless Hockey Scoreboard Sponsor panels may be any size and can added to any side of the scoreboard. 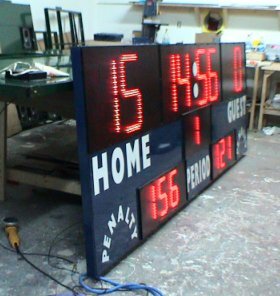 All of our LED Hockey scoreboard models are made with quality LED displays, last over 100,000 hours, are inexpensive to power, and easily seen, even in sunlight. Over 150 degree viewing area. 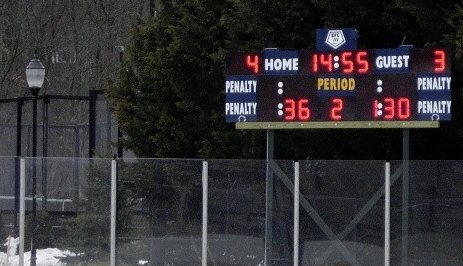 Our standard RF wireless Hockey scoreboard comes with hand held controller is rugged and easy to use. Our system is configured so we just plug and play. Dimensions: 70" high x 144" wide x2" deep. Approximate weight is 225 lbs. Power: Uses less than 6 amps @ 120 volts AC. Approximate weight is 285 lbs. Power: less than 6 amps @ 120 volts AC. Dimensions: 60" high x 144" wide x2" deep.